This was Vadim’s experiment. It was excellent. 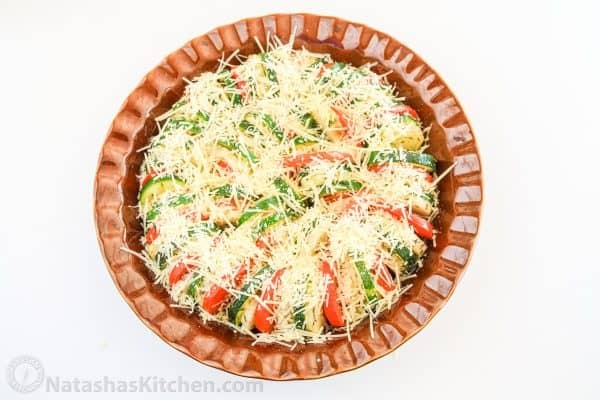 This vegetable tian is healthy and has simple ingredients; zucchini, potatoes and tomato slices, seasoned to perfection and topped with lots of parmesan cheese. It’s been a very healthy month hasn’t it? Stuffed eggs, asparagus, trout, fruit salad, caprese skewers… Ok, I guess Boccone dolce isn’t totally healthy, but it was topped with fruit! 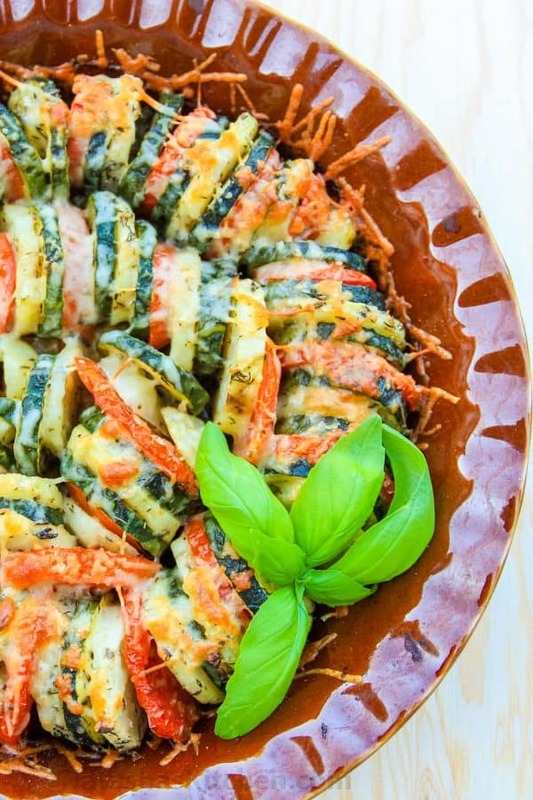 This is perfect as a side dish for a dinner party. Try to pick proportionately sized veggies i.e. your tomato should not be twice as wide as your potato. You’ll thank me later. 1. 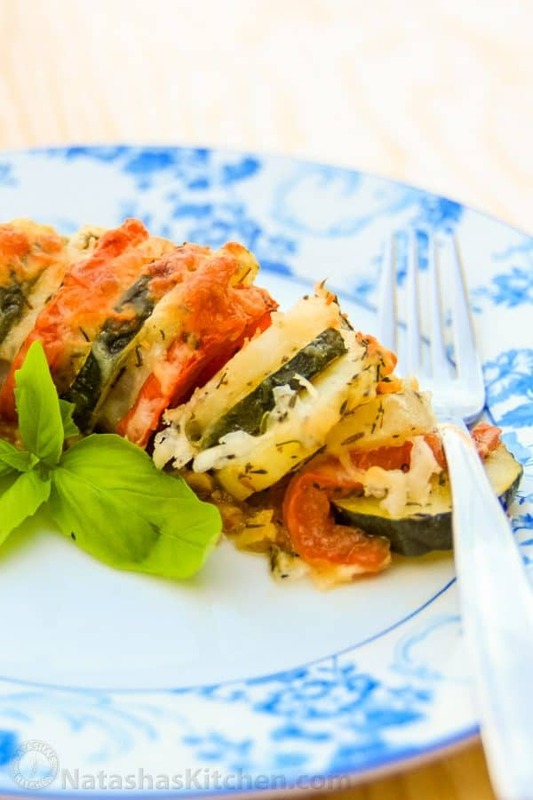 Prep your veggies: Slice zucchini and tomatoes about 1/4″ thick. Peel and Slice your potatoes. Chop your onion. Peal the garlic. 2. Preheat a skillet over medium heat. Add 2 Tbsp olive oil. Add onion and saute 5 minutes until onions are lightly browned, soft and translucent. 3. 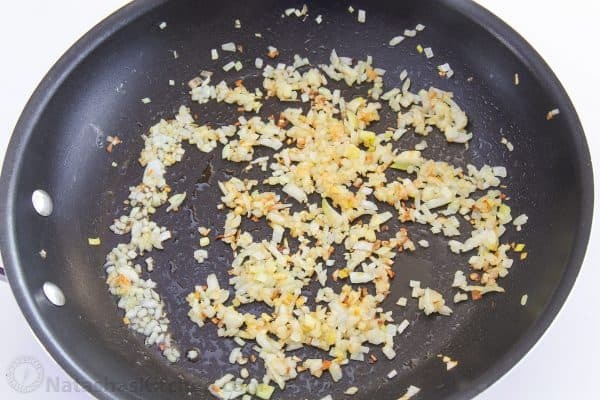 Press the garlic into the pan and stir for 2 minutes until fragrant. Remove from heat and transfer your mix into your baking dish. 4. In a small bowl, mix together 1/2 tsp salt, 1/2 tsp black pepper, 1 Tbsp thyme, 1 Tbsp fresh or frozen dill (or 3/4 Tbsp if using dry dill) and 2 Tbsp olive oil. 5. 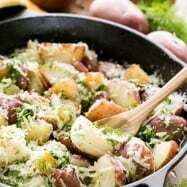 Place potatoes and zucchini into a large bowl. Pour the seasoning mix over the veggies and mix to coat. 6. 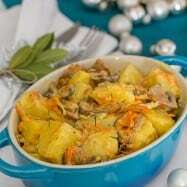 Arrange your veggies in your baking dish interchanging potatoes with tomatoes and zucchini. 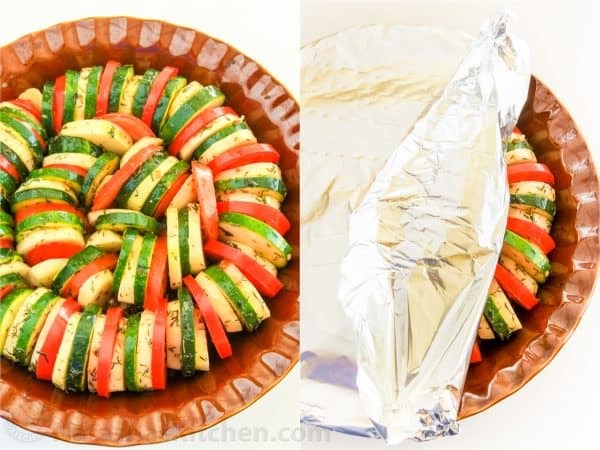 Cover with foil and bake at 375 ˚ F for 35 minutes. We were happy to find another use for our Paula Deen Pie Dish. I’m so looking forward to all my mom’s wonderful garden veggies. 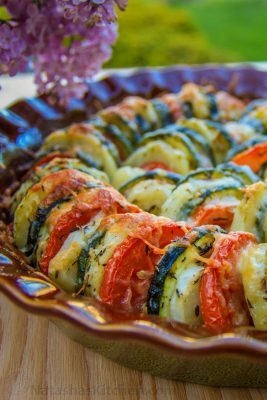 I’ll soon be able to re-create this with heirloom tomatoes, still warm from the sun zucchini and potatoes just plucked from the dirt! Which summer veggies are you looking forward to most? The inspiration for this came from Kristianne of Mysanfranciscokitchen.com. 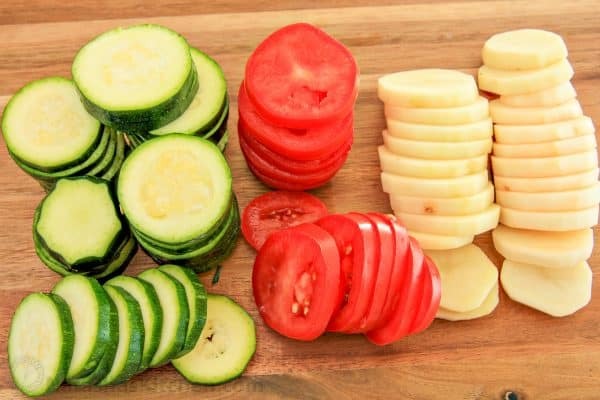 Prep your veggies: Slice zucchini and tomatoes about 1/4" thick. Peel and Slice your potatoes. Chop your onion. Peal the garlic. Preheat a skillet over medium heat. Add 2 Tbsp olive oil. Add onion and saute 5 minutes until onions are lightly browned, soft and translucent. 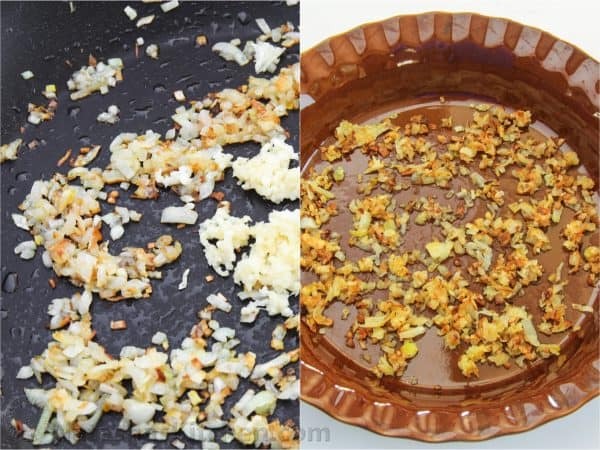 Press the garlic into the pan and stir for 2 minutes until fragrant. Remove from heat and transfer your mix into your baking dish. 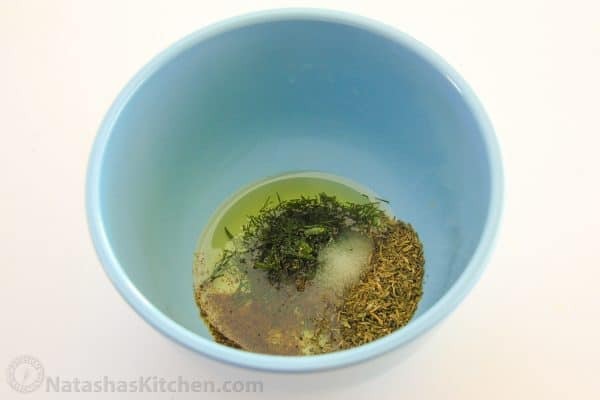 In a small bowl, mix together 1/2 tsp salt, 1/2 tsp black pepper, 1 Tbsp thyme, 1 Tbsp fresh or frozen dill (or 3/4 tbsp if using dry dill) and 2 Tbsp olive oil. 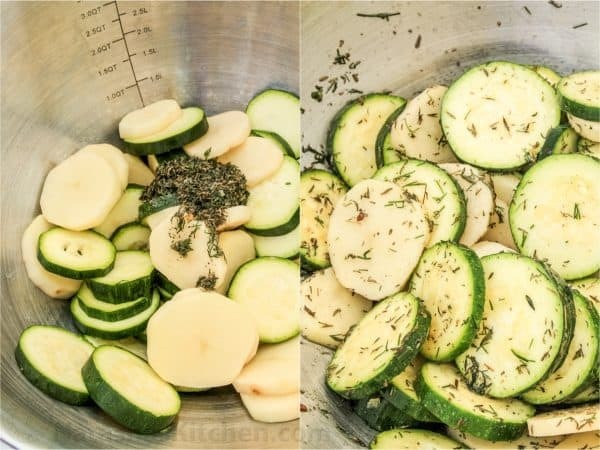 Place potatoes and zucchini into a large bowl. Pour the seasoning mix over the veggies and mix to coat. 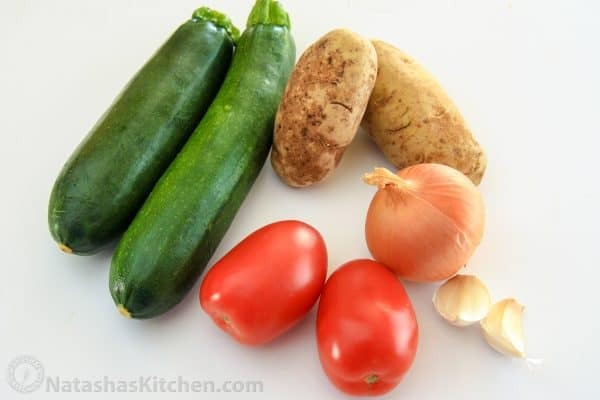 Arrange your veggies in your baking dish interchanging potatoes with tomatoes and zucchini. Cover with foil and bake at 375° F for 35 minutes. 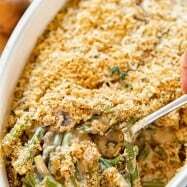 Remove foil, sprinkle with 1/2 cup Parmesan cheese and bake an additional 30 minutes. Hi Natasha! I did your recipe only I left out the potatoes coz I wasn’t sure if they will be cooked . It turned out very well and my family loved it. 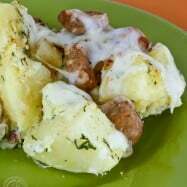 I have tried this dish, and I wasn’t happy with it. First of all, I had so much liquid. Second of all, the taste was ok. I though this recipe will impress me by taste and look as all of your other recipes but it did not. Dish was ok but not 5+++. 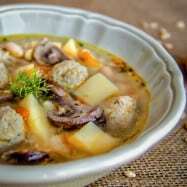 just try this dish , have only one word DELICIOUS !!!!! I made this yesterday for lunch for myself it was good.. Thank you for getting back. Since I didn’t have any shredded parm cheese, I have used a little bit of shredded mozzarella and grated parm on the top of the dish and it came out perfect, not dark and not crusty like using only mozz cheese. 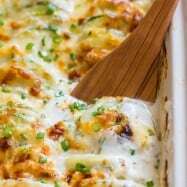 Thank you for such a great recipe , it always inspires me to look at your site and come out with something new for my family.